Like Cape Henry Lighthouse, Old Point Comfort is also found on a Virginia military base rich in history, Fort Monroe. The lighthouse was constructed in 1802, but the point has been lit with a navigational aid since at least 1775. Old Point Comfort Light looks out over the Hampton Roads Harbor and is the second oldest lighthouse on the Chesapeake Bay. The octagonal, stone structure is 54 feet tall with a green lantern and red roof. Fort Monroe and the lighthouse were captured by the British during the War of 1812. Later, after the Civil War ended, the Confederate President, Jefferson Davis, was imprisoned there. Victorian style keeper's quarters were added in 1900. 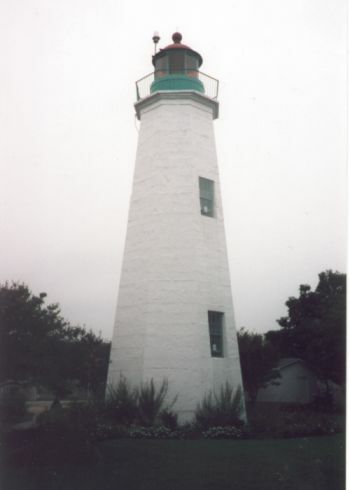 The light was automated in 1973 and is now maintained by the U.S. Coast Guard.